MILAN (AP) — Italy’s economy minister, Giovanni Tria, pledged Wednesday that the first budget by the new Italian government would not see fresh austerity measures imposed. Facing pressure from the two governing parties to fund key electoral promises, Tria has to walk a tightrope as he tries to balance promises made during this year’s election and commitments the country has to abide by as part of its membership of the eurozone. Tria, who is unaffiliated with either governing party, said economic policy has to be prudent in order to assuage any concerns that may emerge in financial markets that Italy is not following the rules of the single currency bloc. “‘We have to give a sign to the financial markets, to those who lend us money,” Tria said at an event in Rome. While insisting his budget will be rooted in reality, Tria is under pressure to fulfil the promises of the two governing parties — the 5-Star Movement campaigned to deliver a basic income for poor Italians, while the League backed calls for a flat tax to be introduced. Both parties have agreed to keep the country’s budget deficit below the eurozone’s 3 percent of GDP threshold but have been pressing Tria to ditch his 1.6 percent for 2019. Both also agree on rolling back a pension reform and avoiding a VAT tax hike. To pay for the new spending, the government has been promoting a tax amnesty, a spending review and possible changes to tax breaks. The government must submit its economic and financial document by Thursday, and submit the draft budget to Brussels by Oct. 15. One of the main reasons why Italians voted in such large numbers for non-traditional parties earlier this year is that the economy has been stagnant for years. The leader of the 5-Star Movement, Luigi Di Maio, had threatened to veto a tax amnesty by the governing partners, the League, if key election promises are was not included in the draft. The inclusion of the basic income is especially important to the 5-Star Movement, which has been eclipsed in the first months of government by League leader Matteo Salvini’s hard-line stand on migration, which has contributed to the party’s growth in popularity. 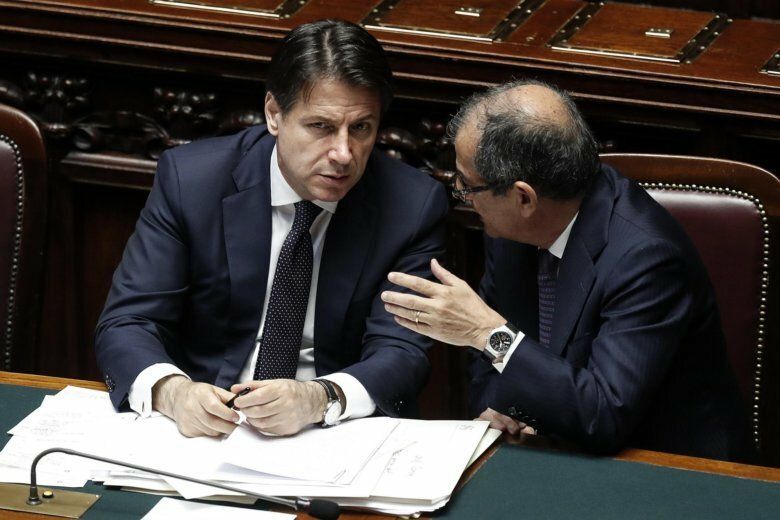 “The budget offers an opportunity to the 5-Star Movement to regain some of the limelight and traction with its core base ahead of the May 2019 European Parliament elections,” said Wolfango Piccoli, co-president of the Teneo Intelligence consultancy.